Turn your demo into a master track ready for commercial success with our top-shelf arrangement, recording and music production services. Tell us about your project and get a FREE quote within hours. Turning your demos into master tracks, ready to compete for airtime on major radio stations, is no longer just a dream. Through our online recording studio services, you can get song arrangements, studio tracks and production services that are usually reserved just for major record labels’ artists. Rates we provide you with are the best value-for-money rates you can find on the market. You’ll save over 50% compared to real world prices for similar or equal quality. We keep our online session musicians anonymous and work sessions around the clock, so we can cut our production costs significantly and pass the savings onto you. We’ve had over 1.000 clients go through remote collaboration process with us and each one was delighted with the end results. However, if our services don’t turn to be what you expected, we’ve got you covered with a 100% money-back guarantee on your first job with us. Learn more. "The best thing about Supreme Tracks is their attention to detail. They have created full arrangements and they create a detailed and amazing sound." "I was blown away with the recording quality, musicianship, and overall experience … and it gave me the confidence to record some of the best vocals of my life." Love Supreme Tracks! 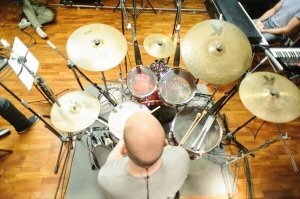 Professional, A session musicians that exceed your expectations every time plus have an amazingly quick turnaround time! Like the quality of our productions? 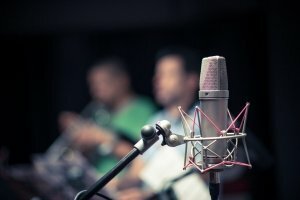 Professional, high-end studio recording of all contemporary instruments by New York’s and Nashville’s A-list session musicians for hire. Professional quality vocal tracks by A-list singers, as well as support with writing lyrics, creating vocal melodies & backing vocals. Hire our production team to arrange, record and produce major-label quality songs out of your demos. Best market rates and guaranteed satisfaction. 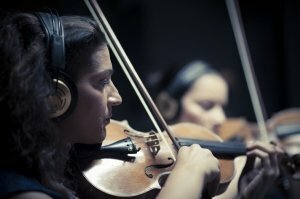 Get premier quality orchestral arrangements and enjoy recording studio online sessions at the best value-for-money rates. Clueless Ruler used Supreme Tracks for all the drums on our debut EP, and we couldn’t be happier – we’re definitely looking forward to working together again! The quality of the production is second to none and and the value for money is extraordinary. I’m delighted with the results which are way beyond what I could have thought possible. … played live with an incredible performance and tightness, respecting the aesthetic and sound of the original ideas. Just with the faders at unity, the drums had kind of a “finished feel”. Prompt delivery, great sound, pro musicianship. Highly recommend!!! I was blown away with the recording quality, musicianship & overall experience of the players selected. We have been producing songs with different online recording services. So far, Supreme tracks has been the best! For client’s projects, we hire exclusively New York’s and Nashville’s A-list session musicians, ensuring you get outstanding musicianship that dramatically improves quality of your songs. 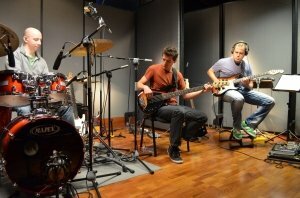 We record in our high-end music studios in New York and Nashville. Our tracks meet or exceed music industry standards for professional sound treatment, recording chain and sound engineering. We want to make your music sound the way you hear it in your head. That’s why we go an extra mile to make sure we deliver exactly what you want.